Marvel’s Daredevil released this weekend on Netflix and marks Marvel Studios first adventure into not only Netflix Exclusives, but also into much darker territory than anything they’ve done before. So was it a good move or is it too different? Well here’s everything you should know about this series before getting into it; but once you do, you will quickly realize that it is one of the greatest hero shows of all time. If you asked me to compare this show to anything else, I would have to say it’s The CW’s Arrow meets Marvel’s Captain America; but it’s also so much more than that. This is the darkest and grittiest thing Marvel Studios has ever produced, as well as one of the darkest hero-shows yet. There’s a very strong ‘save my city’ narrative throughout this show as well as some well placed flashbacks – like Arrow -, but it takes it to the next level and doesn’t pull any punches. Though despite these similarities to the DC Universe and dark tones, the show is still immensely fun and has that Marvel Studios quality to it. Charlie Cox’s Matt Murdock is fun, charming and an all around good person. He has that honest and humble quality that we love about Chris Evan’s Captain America, and yet just a little bit of Robert Downey Jr’s Tony Stark humor thrown in. This might be a dark show; but there are many funny moments and quips that are incredibly executed, especially when Murdock is paired with his best friend and legal partner Foggy Nelson (Elden Henson). This show will constantly pull you between darkness and light, and yet finds the perfect balance within. These two contrary forces work well together to create a very REAL show. The fight scenes aren’t always glamorized. So don’t expect a single punch knock out every time. Villains will get back up, and Daredevil will be knocked down … a lot; but like the boxer’s son he is, he will always get back up. It’s been said that a great villain is the hero of his own story, and that is expertly shown in the series’ – and Vincent D’Onofrio’s – portrayal of Wilson Fisk (aka The Kingpin). There are many times that you’ll find yourself feeling for this awkward yet charming man; but these moments of humanness will all be balanced by moments of pure rage. Through flashbacks and unfolding events, you will see how Fisk and Murdock are constantly juxtaposed with each other. So as you watch, be sure to take note of not just their physical battles, but also their own personal battles with becoming like ‘the other’. Since this show is on Netflix, you control how you watch it. So with Daredevil being only a 13 episode series, there is no room for filler. This isn’t the kind of show to watch an episode and then wait a week for. Each episode basically picks up almost immediately from the one before it and many of the final scenes actually set up the themes for the next episode. It’s best to watch this series at least two to three episodes at a time – or more. Either way, you want to make sure the last few moments of the prior episode are fresh in your head as you begin – especially as you get to later episodes. Since this is a ‘Spoiler Free’ review, I’m not about to point out all the Easter Eggs and references of the series – if you want that then check out my MASSIVE Easter Eggs article. What I will tell you is that there are a lot of great references that connect this show to not only the larger Marvel Cinematic Universe but also Agents of S.H.I.E.L.D – Marvel’s first TV series on ABC. The series also does a great job of setting up for the other Netflix series as well as Daredevil Season 2 – yes, that’s already a thing. Though this show doesn’t just have Marvel-related references, but also New York ones. 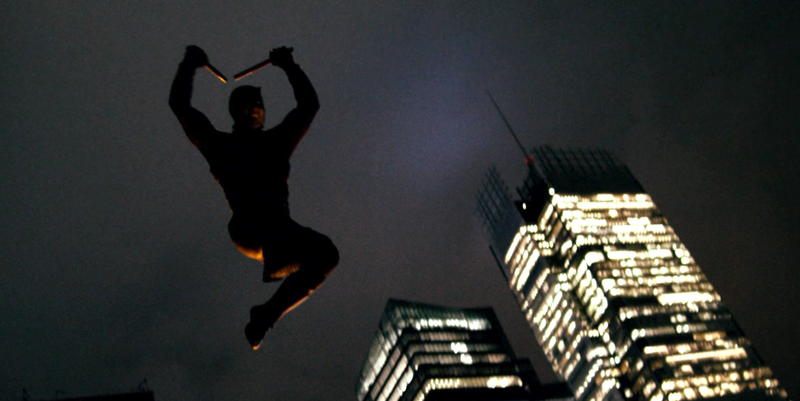 The neighborhood of Hells Kitchen is a major character in the Daredevil stories. As such, there are equally a great number of references to the actual Hells Kitchen in New York as it is now. Despite these references to the current Hells Kitchen, the Hells Kitchen of the show is closer to the darker grittier Hells Kitchen of the 60s – where the comics were originally set – but there is actually story explanation for why this is so. All in all, this show presents a very well crafted version of New York based in the Marvel universe with the real one shining through. So jump on Netflix and start watching! Once you finish, go check out my Season 1 Analysis and Hints of Season 2 Article to see what’s next for the Netflix series. Additionally, check out my Easter Egg Article which reveals every Easter Egg of the series arranged by episode. 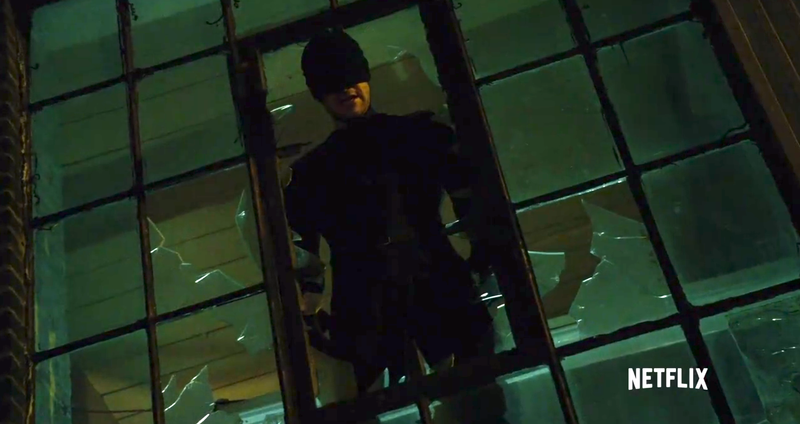 There will be even more articles to come on Daredevil, including hints at Season 2. So stay tuned here and follow me on Facebook for the latest! Daredevil was probably Disney’s first strike out for me as far as their Marvel properties are concerned. It just wasn’t for me and I don’t think their other Netflix shows will be either as they all seem to be of a similar vein, but it’s always good to see the MCU expanding.